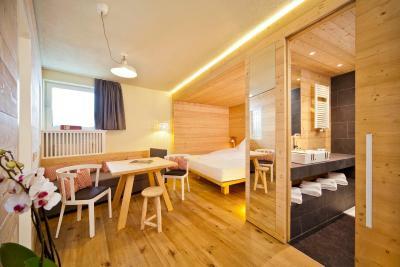 Lock in a great price for Glacier Hotel Grawand – rated 8.8 by recent guests! Clean room, modern feel of the property, location, friendly staff. The location and the view are ridiculously beautiful. Every room has a glass wall, you get to wake up to an insane view! The dinner was very rich and good. 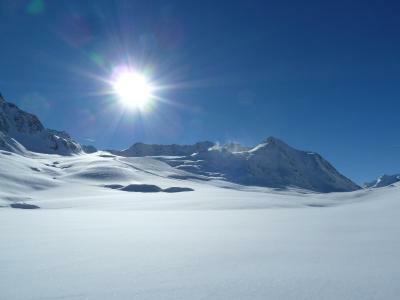 Although it's more suitable for skiers and we don't ski, but just walking around the property was enough. The staff was very friendly, always smiling and ready to engage in a conversation. Posizione Superlativa! Staff molto cortese e disponibile e cena e colazione ottime. Vista da favola! la posizione eccellente,unica!!! la sauna e bagnoturco,la colazione al top, la cena ottima e ben servita. il personale all'altezza della spesa effettuata. diciamo che una volta nella vita bisogna andarci, io ci tornero! depposito sci al top. Widoki z pokoju to bajka !!!! ❤️❤️❤️ Ogólnie wszystko sprawnie poszło z zameldowaniem i wjazdem do hotelu. Duży plus za bezpłatny parking na dole. Trasy narciarskie super przygotowane. Hotel super :) polecam wszystkim ! 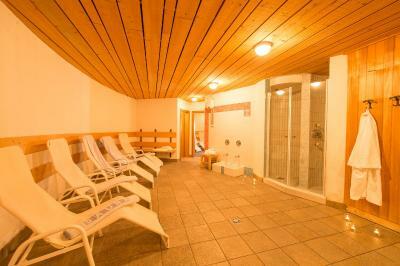 Glacier Hotel Grawand This rating is a reflection of how the property compares to the industry standard when it comes to price, facilities and services available. It's based on a self-evaluation by the property. Use this rating to help choose your stay! 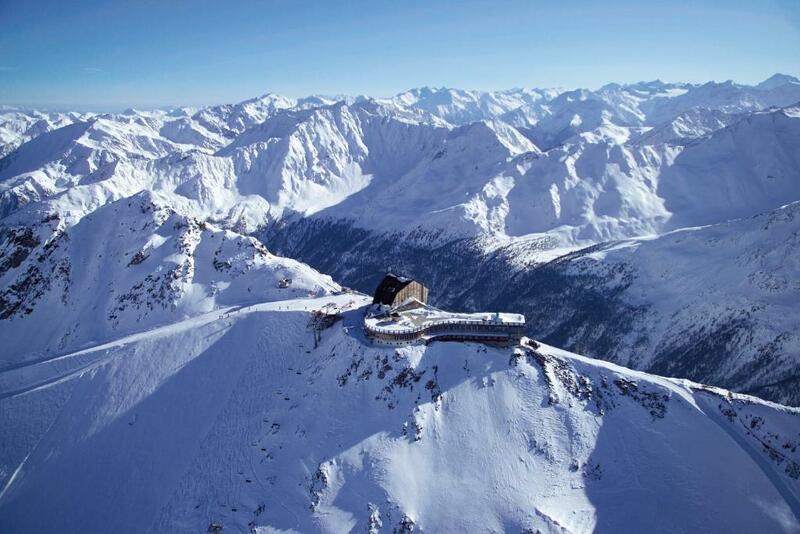 At an altitude of 10,500 feet Glacier Hotel Grawand is the highest hotel in Europe. 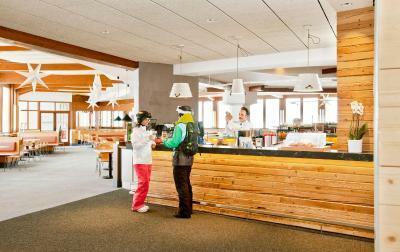 Located directly on the Senales ski slopes, it offers a wellness center and panoramic views. 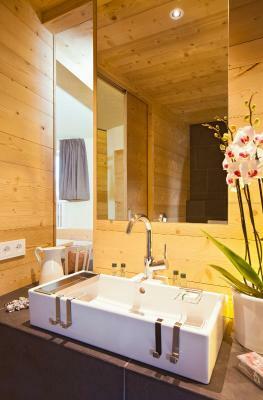 Rooms at the Glacier are well equipped with a flat-screen TV, laptop safe and a private bathroom with hairdryer. Breakfast is buffet style. 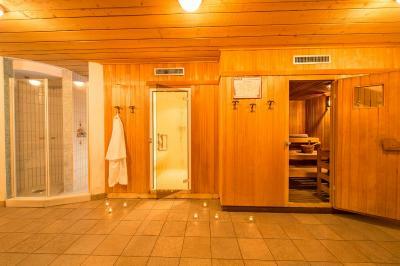 The wellness center includes a sauna and a Turkish bath. 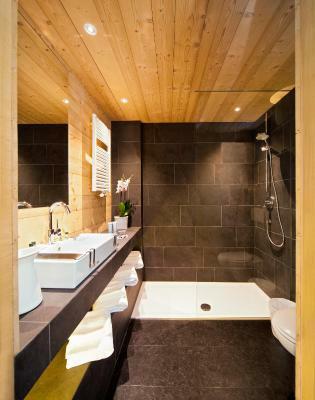 Towels and bathrobes can be rented on site. 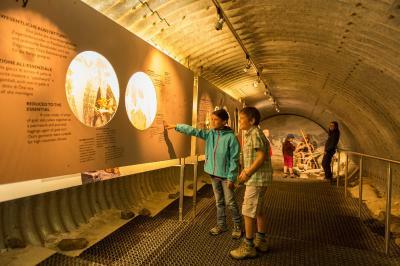 Grawand's restaurant serves specialties from South Tyrol. 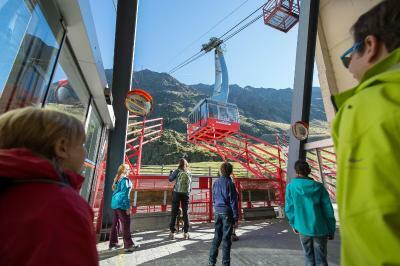 Free parking is available at the cable car stop in Maso Corto, 6,598 feet above sea level. This property also has one of the top-rated locations in Maso Corto! Guests are happier about it compared to other properties in the area. This property is also rated for the best value in Maso Corto! Guests are getting more for their money when compared to other properties in this city. 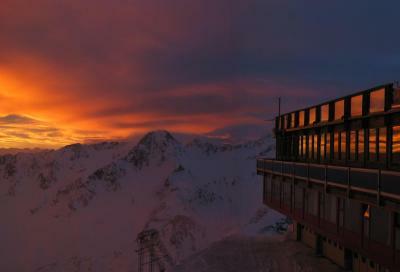 When would you like to stay at Glacier Hotel Grawand? 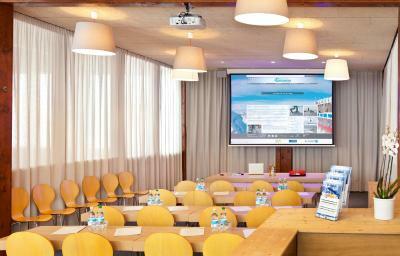 Offers a panoramic view across the Alps. The beds can be joined on request. 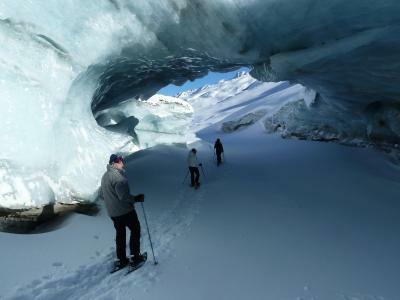 House Rules Glacier Hotel Grawand takes special requests – add in the next step! Debit card Glacier Hotel Grawand accepts these cards and reserves the right to temporarily hold an amount prior to arrival. Glacier Hotel Grawand accepts these cards and reserves the right to temporarily hold an amount prior to arrival. 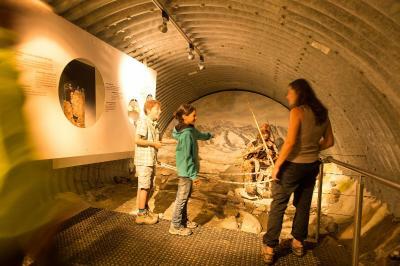 Please note that the hotel can only be reached by cable car and the last departure is at 16:00. 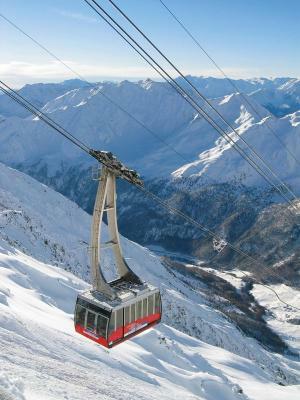 The cable car is at an extra cost and a chargeable ski pass is required during winter. Due to the hotel's altitude it is not recommended for small children or people who suffer from high blood pressure. The brochure in the room was a bit misleading about the indoor swimming pool. Even though this was Italy, staff made me feel like I was in Germany or Austria. No effort to speak English and I can guaranty I absolutely do not look German ... even if I were. Paid extra to get suite only to be given one on the main road in the older building instead of the newer wing. If I had known I would not have bothered to pay for upgrade and taken a smaller room with a nicer view and on the quiet side. The only thing I can mention, and the reason I didn't give this experience a higher rating is related to the storm that hit the day we were leaving. A crazy storm that happens maybe once a year. It's not the hotel's fault of course but we were 10 people checking out that morning and we all got stuck there for 3 extra days. We were all surprise the hotel didn't warn us the day before that this storm was expected. Also the staff wasn't very prepared or ready to deal with this situation, in the sense that they wouldn't share much information with us, we had to keep going up to them and asking for updates. People were stuck indoors for days and there was no effort from the hotel staff to make those days any fun or interesting - maybe organizing a small group activity, afternoon tea, idk... And there was no manager on site. No authority person.